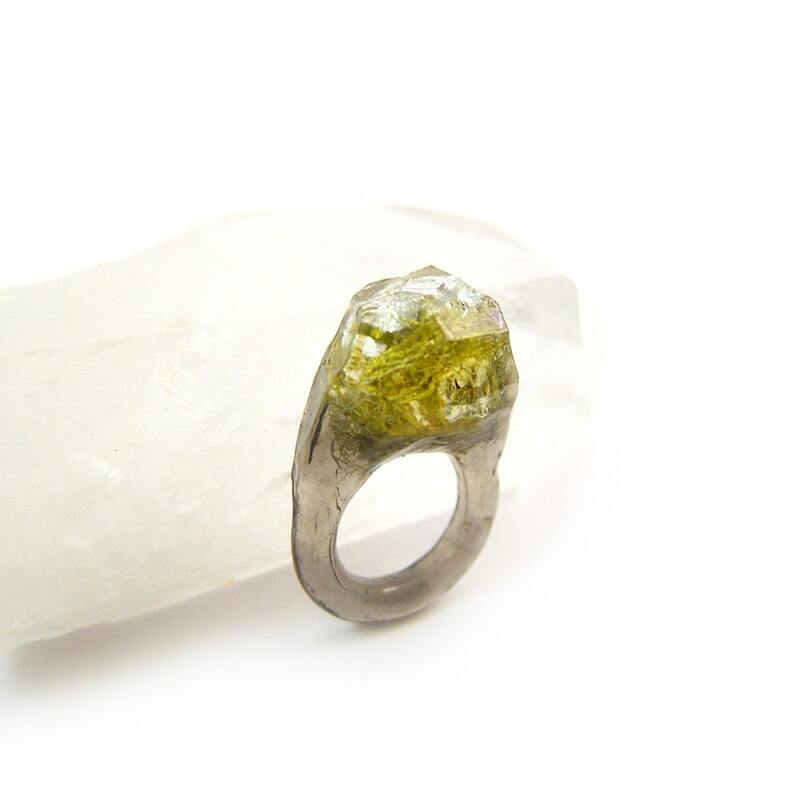 Eco clear resin nature ring with hand-gathered all natural lichen and moss inclusions. Floating silver leaf accents with a pinch of glittery shimmer. 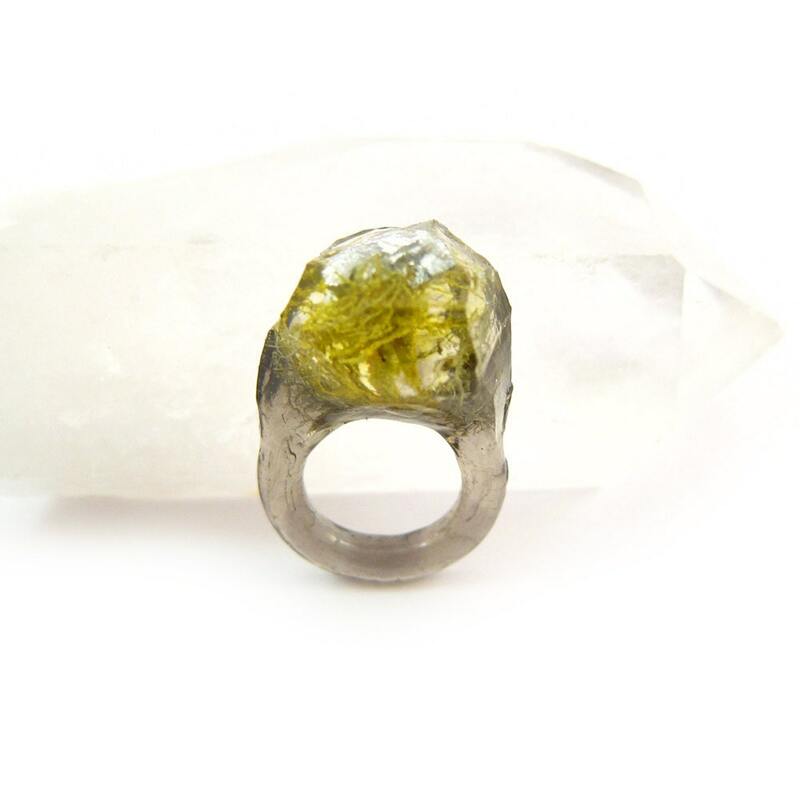 Asymmetrical organic shape with faceted sides and top. My rings are handmade from start to finish. 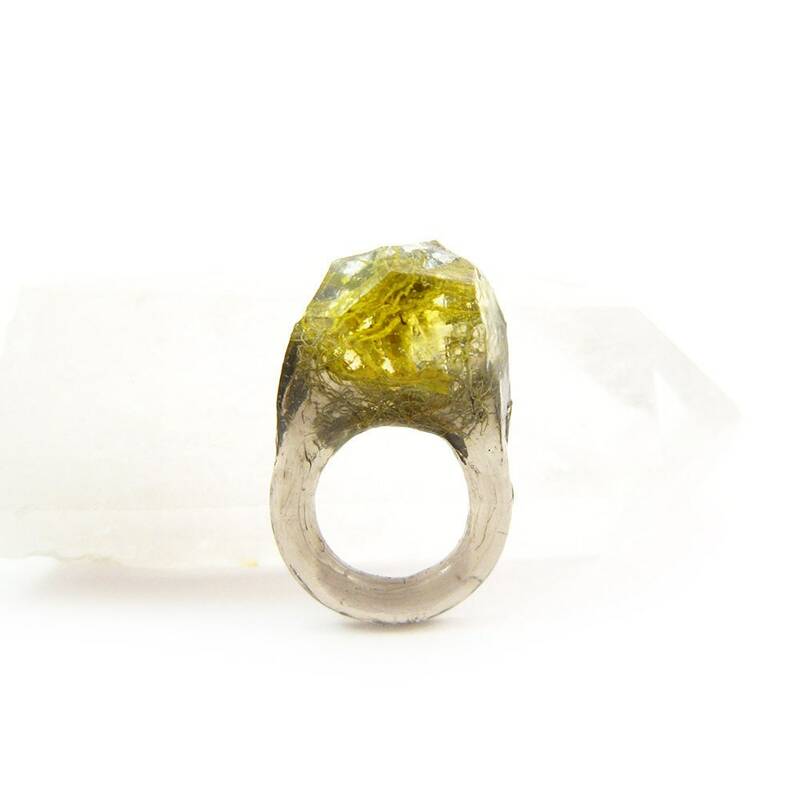 I shape the ring models, make my own molds from the models, and cast the ring resulting in a truly one-of-kind original piece of jewelry! This is a beautiful, unique cocktail ring. The moss and golden flakes are a beautiful combination. Resin rings where big in the 90's and part of that kiddie style. I was hesitant to buy one because I remember that style. But this is a nice organic piece of jewelry that I would wear with an elegant outfit.